The Collected Interior: Trend Alert...deer head sculptures & antlers! 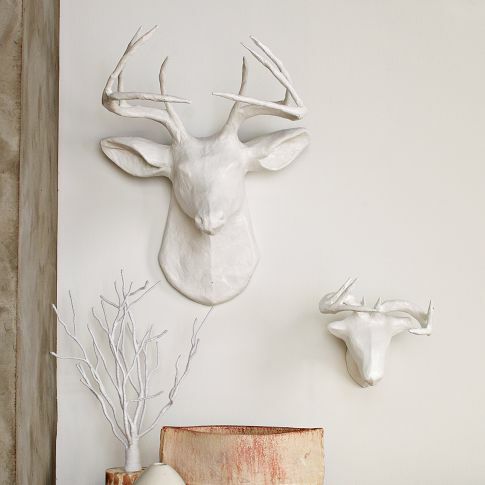 Trend Alert...deer head sculptures & antlers! 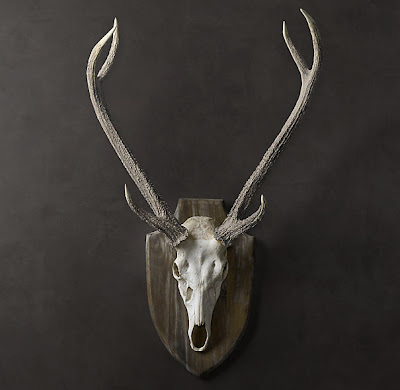 Deer Antlers...one of the latest trends in home decor right now! So earthy and retro... just cool. Haven't you seen them everywhere? I sure have. 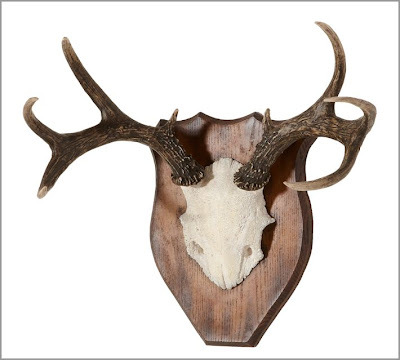 Honestly, I'm especially fond of antlers that are resin and "man made", although you can easily find real deer antlers on Ebay here, and for a great price I might add. So what do you guys think? 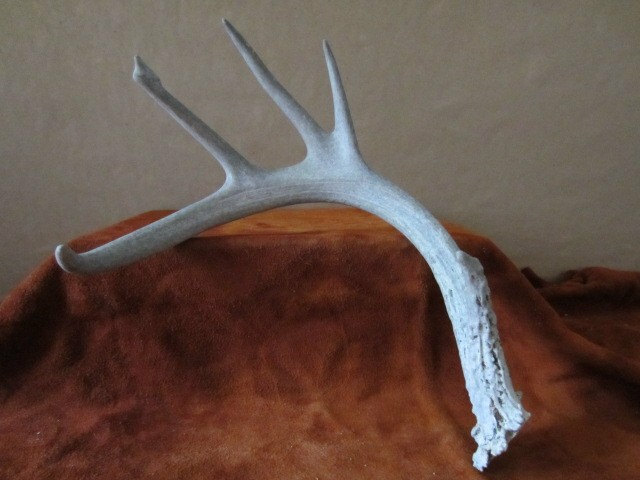 Are you a fan of the Deer Antler trend...or not so much? I think so too Melissa...just creative and fun!! How fun!!! I read your blog daily, but have not left a comment til now. Thanks for the great inspiration. I appreciate all that you do to make this blog so appealing and helpful. Thank you sooo much for reading Finding Fabulous!! Isn't it amazing all the fabulous inspiration and ideas floating around blog land! And it's all about getting creative and thinking outside the design box...just a ton of fun!